Let’s start with what I don’t want. I don’t want a bold energy policy. There’s no need. Most of what we need is long-since proven; most of it is cost-effective now; the rest will be soon enough if we give it a fair shot. I don’t want to close any more gas-fired power stations. I’m not crazy about building lots more either. And while I’ve criticised the short and long term solutions which Grid and government have applied to falling capacity margins – respectively, Supplemental Balancing Reserve and the Capacity Market – I don’t want to get rid of them either. Nor do I want to save coal from the 2025 axe. I can also live with Carbon Price Support, the Industrial Emissions Directive, Feed-in Tariffs, Contracts for Difference and – hey, it’s Christmas – Hinkley C.
What I really want for Christmas is this. I want us to stop saying “baseload”. In the electricity industry, we get trapped in our own ideas of how things should be, and we don’t notice when they move under our feet. It’s been virtually impossible to finance baseload power stations for five years now. That’s why Hinkley needed a 35-year deal, and it’s why 15 years looks too short for Trafford CCGT. There’s a reason for that: baseload is yesterday’s concept. Now we need flexibility. I want us to stop being rude about renewables. The wind and solar industries have achieved incredible things over the past decade. Curtailment happens, but the amounts are tiny. These resources make their living by producing real megawatt-hours of real energy. They had a lot of help from the consumer to get started, but that wasn’t for nothing. Both technologies returned the investment in the form of remarkable capital cost reductions – itself a good reason to keep building now – and in ongoing fuel savings. In just one day last summer, solar power cut the nation’s gas bill by £2m. Those panels will keep doing that. I want us to notice that we live in communities. Community energy schemes – including district heating and district cooling networks – are ideal ways to combine a plurality of resources and requirements into a secure, sustainable, integrated system. Heat pumps can run when it’s windy, and gas CHP can run when it’s not. Where there’s a good local source, biomass and anaerobic digestion can join in. But the real magic of community schemes isn’t the technical integration: it’s the effect it has on people. A simple proof of that is the regular over-subscription of share offers in community energy schemes. To make my Christmas, governments need to do just one thing: treat heat networks as infrastructure and a public good, like road networks. Running the grid with lots of small, independent resources takes co-ordination. That’s been Flexitricity’s core business for many years: our operators have spent seven Christmases in our control room, monitoring industrial and commercial sites in real time, and offering their flexibility – on a no-disruption basis – as a reserve service to National Grid. And yes, we have seen calls on Christmas Day. We don’t just keep the lights on; we keep the ovens hot, in that critical moment as the turkey begins to brown. 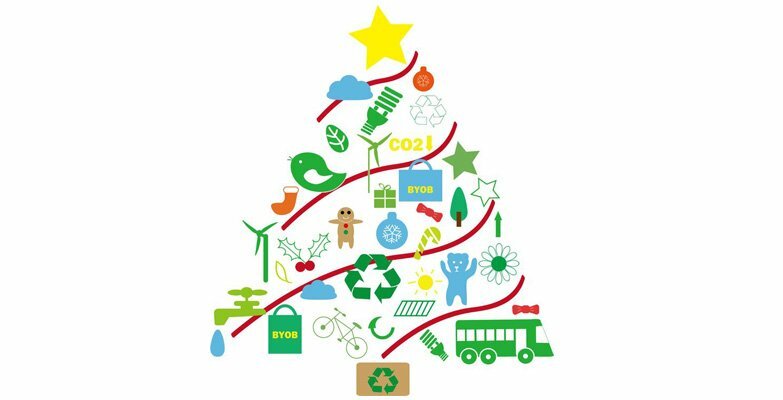 There’s a lot more that demand response could do, so what I next want for Christmas is access to wholesale market prices for everyone. I want the suppliers to stop impeding and start bridging. And I want every electricity meter to be smart. That’s properly smart, unlike some of the first wave of meters that change from smart back to daft as soon as you switch supplier. These are easy mistakes to avoid. Somewhere in there we should also find the solution to one of the most embarrassing problems in the industry: the pre-payment meter trap. We charge the most to the poorest customers. How did we allow ourselves to design a system like that? While we’re on fuel poverty, it is baffling that no government has ever addressed energy efficiency seriously. What I most want for Christmas is homes that don’t throw heat into the sky. This is a big project, but it’s not fundamentally difficult. There are a thousand well-known, straightforward ways to reduce energy waste. If Amber Rudd wants to make her mark, this is the big one. Bills down, fuel poverty down, employment up, supply security up, and everyone cosier. What could be more Christmassy than that? But if Christmas is cosy, it’s good to be ambitious in the New Year. At the bells (when Flexitricity’s control room will be open as usual) I’d like us to resolve to take marine energy seriously. We’re a maritime nation with one of the world’s greatest wave and tidal energy resources. With the Pentland Firth described as the Saudi Arabia of marine energy, this ambition often feels more Scottish than British. But then, so does Hogmanay. Mind you, the biggest tidal energy project on the books right now is in Wales – the Swansea Bay lagoon. And an English company built the world’s first commercial tidal stream power station… in Northern Ireland. These are massive resources, and we’re going to need flexibility to manage them. It’s time to take energy storage seriously as well. Multiple distributed batteries can de-stress critical parts of the distribution network while helping balance the ebbs and flows of renewable resources. All around the UK, the marine energy industry had a bad 2015. Energy storage is still waiting for its first good year. It’s time to change that. These are challenging projects, but they’re not Apollo missions. The flexibility which will glue together the new energy system comes in many forms: demand response, energy storage, consumers shifting their consumption – and yes, gas. That’s why I think we’ve closed enough power stations. It’s also why SBR and the Capacity Market have a role, though the latter needs work. If we confine fossil power stations to a gap-filling role in and around renewables, they will still generate often enough that we need them to be efficient. The IPPR recently proposed that long capacity contracts should only be available to resources emitting less than 450gCO2/kWh – an excellent idea. I’d add that CHP should be taken into account. In truth, I’d like CHP to be mandatory for thermal power, but I’m not sure Santa can quite manage that. With thermal generators in this new, highly flexible role, paying for capacity is fair enough. It’s also a lot cheaper than the gas that we will burn if we carry on the old way. We don’t need a delegation of Christmas ghosts to explain the urgent need for, and great benefit of, a change. Nor do we need to throw everything away and start again: a clean, green, reliable, fair and economic energy system can be built with the things we already have or can get with just a little more effort. And that’s what I’d like for Christmas.